Anfis romantic heart shaped island is the perfect wedding or renewal of vows ceremony location in Gran Canaria. Exchange or renew your vows before the beautiful Anfi altar, followed by a delicious meal, then dance the night away under the balmy skies at the luxurious Beach Club located on the very same island. Where better to say “I do” than on a beautiful heart shaped island surrounded by the crystal blue waters of the Atlantic Ocean. Listen to the palm trees swaying in the breeze as you say your vows to the one you love in front of your family and friends at the purpose built stone altar strategically placed in the centre of the islands beautifully manicured gardens. 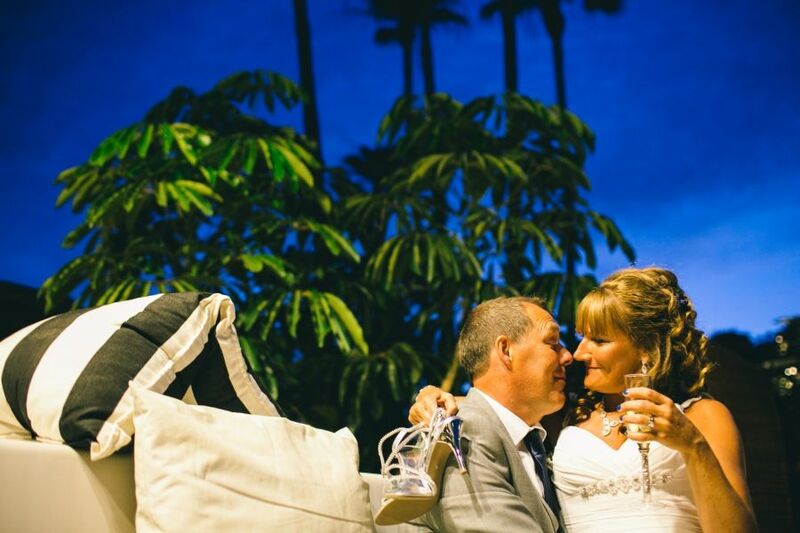 Nestled between a quaint harbour and Gran Canaria’s only white Caribbean sand beach, Anfi’s Heart Shaped Island is the perfect location for an intimate ceremony or large gathering. With its endless photo possibilities offering bride and grooms beach shots, garden backdrops and views out to sea, it’s no surprise this beautiful wedding venue has been host to many wedding blessing, elopements and renewal of vows. Picture yourself sipping champagne while you capture the memories with your family and friends in the group photo shoot surrounded by Gran Canarias finest gardens. Then head into the chill out area of the Beach Club to enjoy your welcome cocktail and canapés, following by exquisite wedding dinner dining. Why not try their ever popular BBQ style buffet or create your own 3 to 5 course dining experience. Then kick of those shoes and feel the sand beneath your toes as you dance beneath the stars till 02.00h in the morning watching the sun set and moon glistening on the Atlantic Ocean. Accommodation can be arranged in Anfi for the bride and groom and the wedding party, which ensures you not only have a memorable day but a fantastic holiday with your nearest and dearest. Anfis Heart Shaped Island will not only WOW your guests but will give you and you loved ones everlasting memories and an original wedding enjoying the amazing Canarian feature and climate. Give us a call or drop us an email, we’d love to tell you more about this venue and how you can have your romantic wedding in the sun.